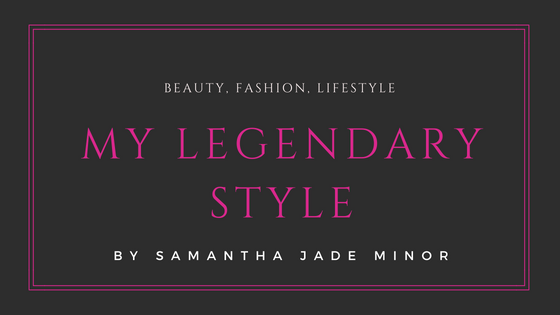 I love high end products just as much as the next girl but if I can save some money and get a great product then it’s a win win situation because more money in my pocket means I can buy more makeup. Am I right?! 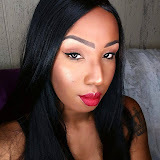 The other day I uploaded a new YouTube video of My Quick and Easy Go To Makeup Look using the Naked Basics palette from Urban Decay. Now $27 for the Naked Basics can be a bit pricey and I like to be able to offer alternatives whenever I can. So that’s what I have for you today. 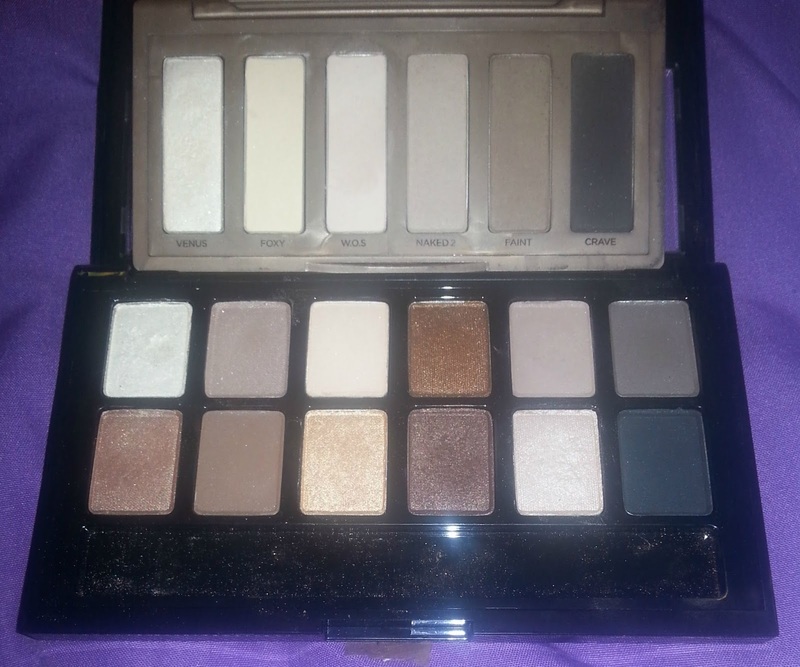 While I was out at Ulta one day I came across The Nudes palette by Maybelline. I got to playing around with it once I got it home and realized the same looks I’ve been creating with the Naked Basics can also be created with The Nudes. They aren’t absolutely identical but hey it’s close enough. The Nudes palette is made up of 12 neutral colors 5 matte and 7 shimmer. Not all of the colors give a fantastic color payoff but with the right eye shadow primer you can easily create some pretty good looks. 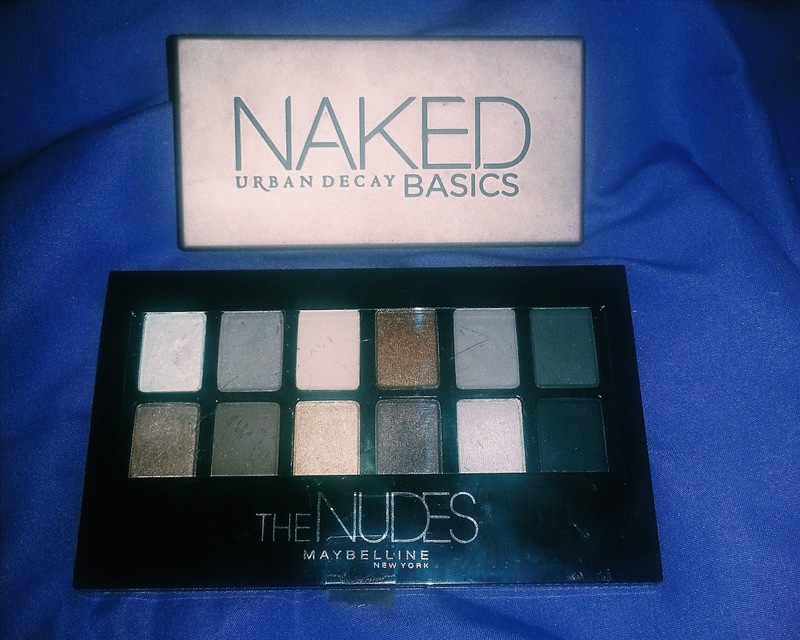 I’ve been pretty much obsessed with the Naked Basics palette by Urban Decay for what seems like forever. I use it several times a week. It’s my go to palette because it is made up of mostly matte neutral colors that can be worn everyday. Now because I can’t go without a pop of color I usually rock a bright lip with a neutral eye. After trying both palettes I will say I still love the Naked Basics because it has the best color pay off but The Nudes palette has more colors to choose from which means more looks and more bang for your buck. So there ya have it, if you don’t want to spend $27 on the Naked Basics, The Nudes is only $10 at your local Ulta. 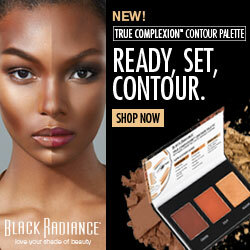 What are your thoughts on the larger Naked palettes? I am a huge high end eyeshadow lover, but I love some cheaper ones like Makeup Geek as well. I'm debating on the Naked 3? I'll be honest, I have the Naked 1 and 3 but don't use them very often. I absolutely love them both! The Naked 3 can be used to create a lot of romantic looks. I haven't tried it out but I have seen a lot of videos on the Maybelline palette that is like the Naked 3 I just can't remember the name of it but it also some colors that look similar to Urban Decay. I love that I can check these out at our new Ulta store. We live in a rural area and only get to see them in person occasionally. But, a nearby town opened Ulta. Ya! I love nudes. I love all the naked Palettes they have the best colors!